The latest issue of the CESE Beacon, for October 2018, has arrived! 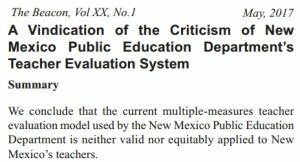 In addition to President Ken Whiton's article on what an ideal NM Secretary of Education would be like, there's a major analysis of both the teacher evaluation and school rating systems. CESE believes that these flawed systems are in need of systemic change . 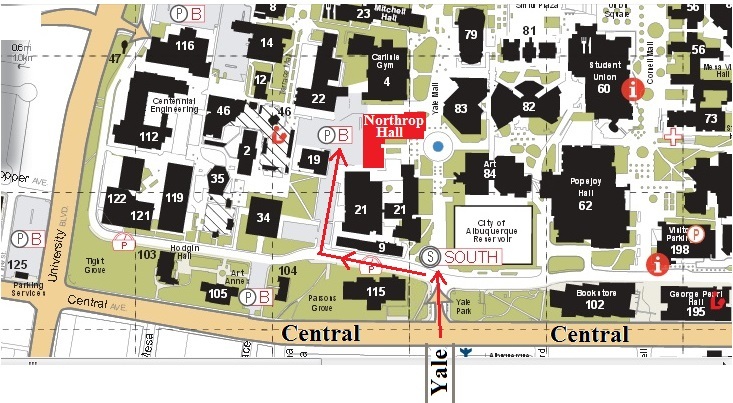 This issue of the Beacon, along with every other issue, can be found on the CESE Beacon Page. The May 2018 Beacon is Here! The latest issue of the Beacon, for May 2018, is out, and it's a big issue! It includes a President’s Message from Jesse Johnson. In "What Will the Candidates for Governor do to comply with the A-B-C-D-F Schools Rating Act? ", three candidates responded to our survey, and the Beacon shows what they think about state-required teacher evaluations. We celebrate our State Science Fair Winners. A Toon by Dave Thomas looks at PARCC. 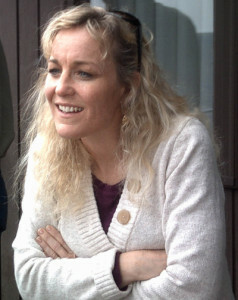 Editor Becky Reiss contributed a piece titled "My Genes, Your Genes Your Genes, we All Have the Same Genes." 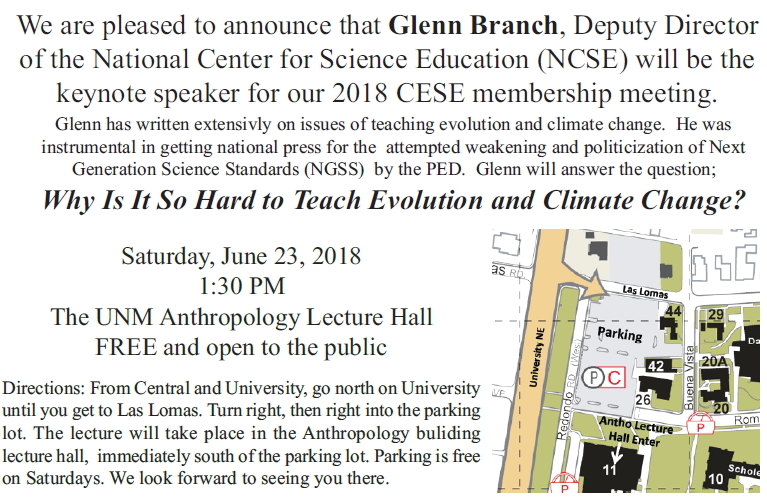 And the Beacon announces our upcoming Annual Meeting, featuring a keynote address by Glenn Branch of NCSE. You can catch up on past issues of the Beacon here. The May 2017 Beacon is HERE!! CESE is pleased to announce the publication of the latest Beacon, for May 2017. It is the first Beacon done by new editor Becky Reiss. Here are some teasers from President Jessica McCord's introductory article. The first article, A Vindication of the Criticism of New Mexico Public Education Department’s Teach er, Evaluation System, is an analysis by CESE of a December 2016 peer-reviewed publication that includes a coauthor who is the primary architect of the current teacher evaluation and school grading systems in use today in New Mexico. 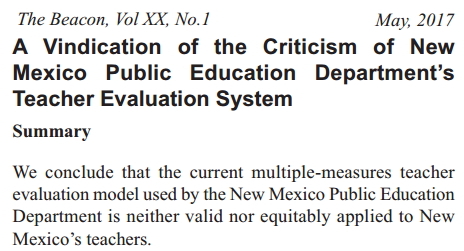 You will find that this paper’s conclusions do not support the use of the current NM teacher evaluation system. 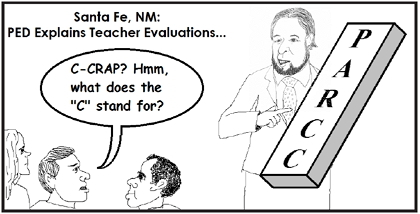 The next article, How New Mexico’s Teacher Evaluation System Translates to the Classroom, is a personal account of one teacher’s experience with the evaluation system; a journey that will leave you with a better understanding of the effect these policies have on teachers. The results are evocative. 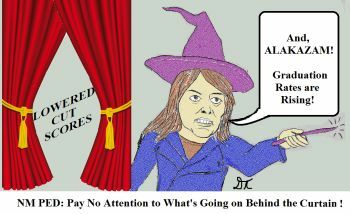 Then, we present one cartoon about NM graduation rates and the cut-off score that students need to achieve to graduate.. There is a long story behind this, but the cartoon has the answer to a question all New Mexicans interested in education should be asking about those graduation rates. Hint – look behind the curtain. Finally, we are please to announce this year's keynote spe aker for our June 24th Annual Meeting, Dr. Frank Etscorn. Dr. Etscorn is the award-winning inventor of the nicotine patch. 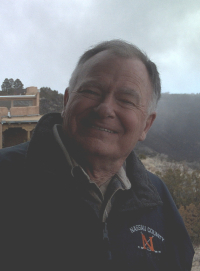 The critical discoveries that lead to the 1986 patent Transcutaneous Application of Nicotine were made while he was mentoring students as a Professor of Psychology at New Mexico Tech in Socorro. He will discuss a subject very near to our prime mission: "Never Give Up on a Student." 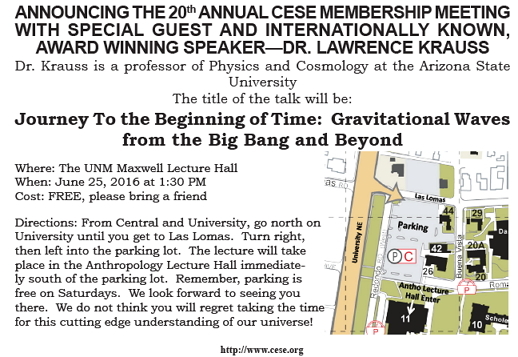 You can catch up on all the CESE Beacons here. It's our 20th anniversary, see what we've been up to for the last couple of decades! Kudos to the Albuquerque Journal for printing CESE president Lisa Durkin's editorial on March 21st, 2016. Here follows Lisa's letter. For decades society has looked to schools for social engineering. Legislation from IDEA to NCLB requires schools to be the remedy for poverty, apathy and dysfunction. While it is true that a student cannot choose the milieu from which they are born, it is also true that the deficiencies a student arrives with on campus are out of a school’s control. Teachers can educate any student. That is the profession they have been certified in, and every child can learn. But teachers will always do a poor job of parenting kids, erasing their troubles and bridging economic gaps. The assumption is that educators are the reason for poor performance in and out of school. Perceptions about teacher incompetence are based on manufactured metrics that are rigged, since they require teachers to make up for insufficiencies born of social, economic and mental strife. Teachers and administrators are expected to be saviors, and we are failing. Our failure suits a political narrative. Policy makers, who use educational hot buttons and sound bites to gain election, pitch one reform after another, all of which are based on the assumption that teachers are the problem. At what point will society realize that pounding schools with accountability measures will always fail as long as it rests on faulty assumptions? The truth is, society needs to solve its own problems. Schools can’t fix kids, fix families or fix the economy. Schools can only educate a healthy and willing population. It is the product of society that educators serve. Schools are merely a reflection, not the creator of society. Communities that fill schoolhouses with economically advantaged kids from stable homes have always performed better than those tormented by social and economic strife. Statistical analysis yields these results again and again. No one has the solution to this age-old problem, but many slick programs claim they do. Billions of tax dollars slip down that rabbit hole every year. Accountability needs to rest on the shoulders of an American population who find it easier to shirk their responsibilities onto the schools. It’s far easier to blame educators, and expect them to meet impossible requirements, than to hold members of society accountable. Do schools have areas of concern? Yes, some districts would most certainly fail if they were businesses. Although, it would be prudent to hold them accountable for only that which they have control over. It’s hard to sift through rhetoric based on agenda-born conclusions. Statistical twisting and pseudo-analysis traps many folks into counterproductive presumptions. Here is what we know: Schools have been under a constant state of reform since 1958. Results can be attributed to a myriad of factors other than the contribution of educators. It’s time for society to face the fact that they need to look to themselves for economic and social solutions, and leave schools to simply educate. 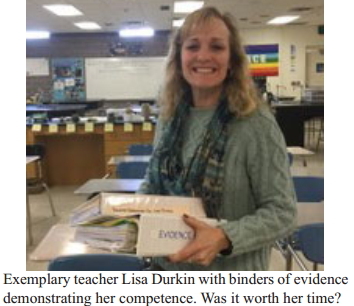 Lisa Durkin is a science teacher at Valencia High School. 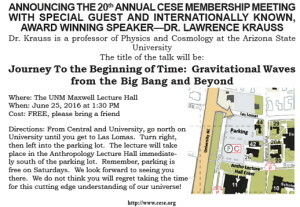 Kudos once again to CESE Past President Ken Whiton for another stirring editorial in the January 29, 2015 issue of the Albuquerque Journal (link). Ken's latest op-ed is titled "Use caution with teacher evals." Here follows Ken's letter. Well said once again, Ken! As it has with many other aspects of modern life, our federal government has increasingly interfered in individual states’ education policies, usually with disastrous results. Now, under President Obama’s “Race to the Top,” the U.S. Department of Education is requiring New Mexico’s Public Education Department to use a Value Added Model, or VAM, based on student growth when evaluating teachers. Supposedly, this method measures the contribution of a teacher to a child’s learning, which makes sense until you consult experts in the field. The American Statistical Association has found the VAM to be unreliable, at best. Research conducted by another group contracted by the U.S. Department of Education found that one in four teachers who are actually average in performance will be erroneously identified for rewards or punishments by VAMs. 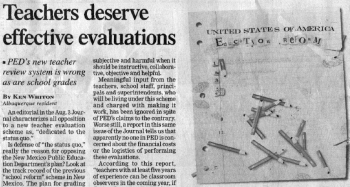 Our children and their teachers deserve better than an evaluation regime based on this level of error, especially when a “poor” evaluation can destroy a qualified teacher’s career. Unfortunately, Education Secretary-designate Hanna Skandera has chosen to base 50 percent of a teacher’s evaluation on these same unreliable VAM scores, which is the maximum allowed by the U.S. Department of Education. And yet, she has already lowered Santa Fe’s VAM percentage to 35 percent. Why isn’t she treating all our school districts equally? If the method Skandera is supposed to use is as bad as the American Statistical Association says it is – and who would know better? – why use the maximum amount of an unreliable method to evaluate teachers? Shouldn’t we want to make the best of a bad situation by using the smallest percentage possible, rather than the largest? My second point: The U.S. Department of Education is also now allowing states more time to make the required changes in their public education systems. The goal is to avoid problems, to make certain reform is done correctly and to ensure teachers are evaluated accurately. Skandera should take the same care and consideration and do what our most qualified educators across our state are asking: Give us more time. If other states can negotiate with the U.S. Department of Education, why can’t New Mexico? We must comply with “Race to the Top.” But when its requirements are making a quality education for all our children harder to provide, we should be looking for ways to lighten that load. 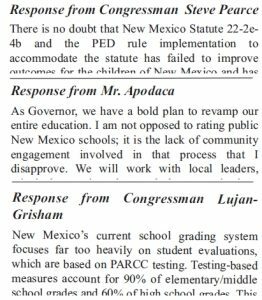 Skandera should reduce the effect of the thoroughly discredited VAM on teacher evaluations for the entire state to the amount already set for Santa Fe schools. And, give our students and educators the extra time the U.S. Department of Education is allowing for states to implement these large changes. Let’s take the time to get it right, for our children’s sake! 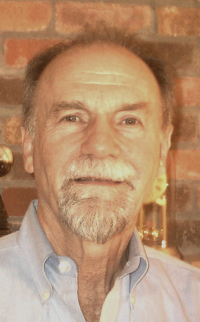 Kudos once again to CESE Past President Ken Whiton for a stirring editorial in the March 7th, 2014 issue of the Albuquerque Journal (link). Ken's op-ed was titled "Test explanation makes no sense." Here follows Ken's letter. Well said, Ken! Many op-ed columns and letters to the editor by teachers, parents and community members, have expressed frustration and lack of confidence in what is being demanded of students and educators. This is not “defense of the status quo,” or fear of evaluation. These are valid expressions of concern. Secretary of Education-designate Hanna Skandera responds to criticism with dismissive platitudes about caring for children, as if teachers don’t. But, not caring about teachers’ concerns is also not caring about students. When teachers are shut out of the process of reform and are denigrated and devalued, their students are, as well. Skandera claims in a column in Tuesday’s Albuquerque Journal that she has reduced the number of hours of testing required by the state. However, as secretary of education, she bears responsibility for the total amount of testing to which students are subjected. Educators are right to be concerned about excessive testing, since every hour spent testing, no matter who requires it, is an hour lost from instructional time. “Possible?” Really? With Skandera’s track record on school grades, teacher evaluations and many other failures, it’s no wonder those concerned with teaching and learning in our public schools have little confidence in her ability to get this right. In addition, the Journal reporter, Jon Swedien, who actually talked to a teacher, reported on the difficulties of using our current tests on the new “Common Core” curriculum. Because “Common Core” covers fewer topics in greater depth, students will be tested on topics not covered in class. Skandera said, “While those questions won’t count toward test scores, they will give teachers and students an idea of what next year’s test will be like.” She seems unaware that teachers are not allowed to look at test questions. Unless something changes, teachers will have no way of knowing what next year’s test will be like without adding to their already staggering workload. Students will not be taking this year’s test next year. Knowledge of this year’s test questions does them no good. We need reform! However, Skandera’s “reform” with no understanding of the consequences of her misguided edicts is not the “reform” we need. That is the reason she faces so much opposition. If Skandera actually sat down with educators, listened to them, trusted them, gave them a voice in reform, we could have the public education we deserve. 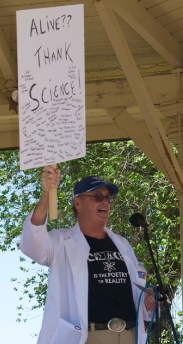 CESE President Terry Dunbar, on behalf of the Coalition, has written Education Secretary-designate Hanna Skandera a letter regarding New Mexico's adoption of the Next Generation Science Standards. His January 6th letter can be read in its entirety here. If we are to achieve the ambitious and dynamic vision described in the NGSS and accompanying documents, considerable resources will have to be generated at the district and state level. No standards or curriculum can achieve change in the classroom by itself. The “taught curriculum” even now differs dramatically from the written curriculum and standards. To achieve change in the classroom, many issues must be addressed. Among these are curriculum writing, professional development for science teachers, coordination with teacher training programs, buying and upgrading science supplies and equipment. The writers of NGSS included recognition of the massive systemic culture change necessary to successfully implement broad changes in actual science classroom practice. They cited the challenges for teachers posed by students who vary widely in demographic background, language ability, level of preparation, work habits, parental expectations, etc. Teachers will need a level of support considerably higher than that which now exists in order to embrace and faithfully implement NGSS. CESE recommends the adoption of NGSS. Our organization of scientists, engineers, teachers, statisticians, curriculum writers, and concerned citizens stands ready to assist in any way we can to see that the rollout of these world-class standards is successful. The full document, including detailed comments on features of the NGSS, is available here. Kudos to CESE Past President Ken Whiton for a stirring editorial in the August 10th, 2013 issue of the Albuquerque Journal (link). Ken's op-ed was titled "Teachers deserve effective evaluations: PED’s new teacher review system is wrong as are school grades." 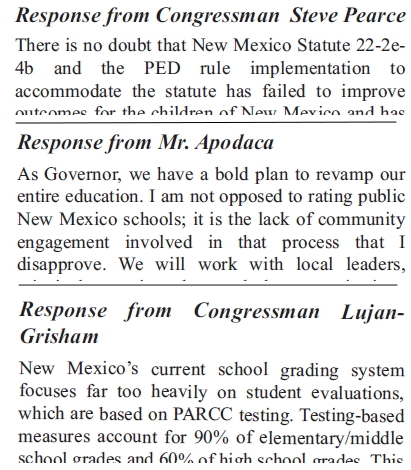 Is defense of “the status quo,” really the reason for opposing the New Mexico Public Education Department’s plan? 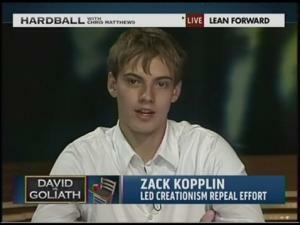 Look at the track record of the previous “school reform” scheme in New Mexico. The plan for grading schools met with widespread legitimate criticism by dedicated teachers, principals, administrators, parents, legislators and a prestigious organization of scientists and mathematicians who perform statistical analysis for a living. The Public Education Department was wrong about school grades and it is wrong about evaluating teachers. Even after training sessions, the plan is still not understood by those who will be using it. It is still statistically indefensible. The evaluation plan still does not take into account the complexities, subtleties and realities of teaching in New Mexico. It seems to pull evaluation categories and percentages out of thin air. Read the entire article here. Well said, Ken!